… since Elvis died, I decided to dress up today. 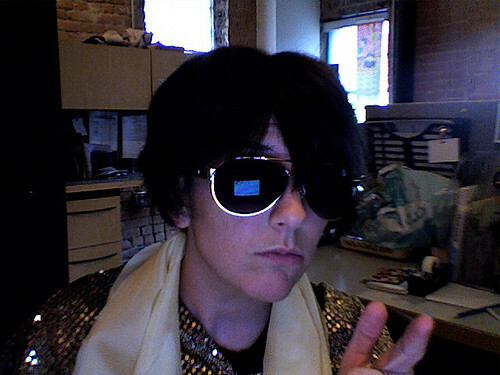 I made a cape, silk scarves to hand out to my co-workers, and was even loaned a pair of Aviator-esque shades from one of my colleagues. Is anyone else making anything crafty to remember the King today?